With LifeSize in the Cloud, face-to-face communication has never been more simple, accessible, or frustration free. At Matrix Networks we use the product on a daily bases to communicate with partners and colleagues in the office or across the country. Matrix Networks has been deploying on-premises HD Video Conferencing solutions since 2008, and our experience and growth with Video Conferencing products allows us to help organizations of all sizes realize the power of HD Video Conferencing, whether they are looking to reduce travel costs, improve communication and relationships, or enhance their brand. Why Cloud Based LifeSize HD Video Conferencing? No enterprise grade hosted video conferencing solution on the market is easier to deploy than LifeSize Cloud. Invite your team to participate in your video call and join together as many people on the call as you’d like. Once Lifesize Cloud is downloaded onto a laptop and/or mobile device, users can connect to your meetings anywhere, anytime, on any device. IT investments come with added tasks of benchmarking, goal setting, and ongoing analysis. LifeSize online portal allows administrators and managers a window in which to view data and pull in-depth reporting on statistics like participation metrics per user and room, as well as call lengths and device usage. This tool allows you to manage your account more effectively, and report on real time ROI. These measurement tools come at no extra cost to you – an added bonus you won’t find among the competition. Matrix Networks wants you to feel confident in your decision before you purchase anything. 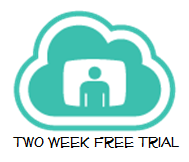 That is why we offer a two-week free trail of LifeSize Cloud for you and anyone on your team. Simply click here to be directed to a customized landing page where you can share your information and get started today.